Andy Murray defeated Roger Federer Saturday in Shanghai 6-4 6-4 in 1 hour 38 minutes. Murray, the two time defending champion, was sharp throughout the match, particularly on his returns and retrieving. 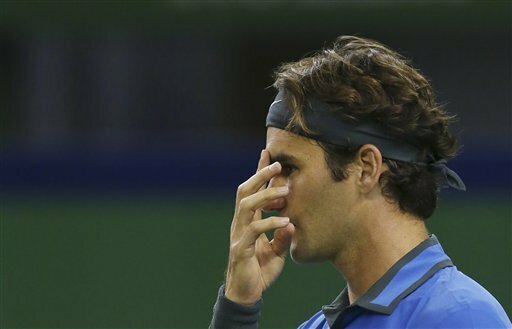 Meanwhile, Federer was sluggish in his movement, and struggled on his serve. In a rare scene, the Swiss hit three double faults in a row. In addition, Federer hit five double faults in total, along with 34 errors. “You’ll pay the price by having an average game like that against a top guy like Andy,” Federer said. Next for the Swiss maestro is the Swiss Indoors in Basel, starting October 22. Federer. 300 weeks. World #1. RF300.